My nephew is turning four, and he LOVES board games! In the Echo Park All About a Boy collection, I found an adorable piece of patterned paper covered with game spinners, which inspired this card. I cut a few of them out and adhered them to my 5 3/4" x 5 3/4" piece of yellow patterened paper from this same collection. I couldn't resist adding a strip of the gear paper too, and I tied it with a piece of Thin Green Hemp from Liz's Paper Loft Boutique. The finished card is 6" x 6". 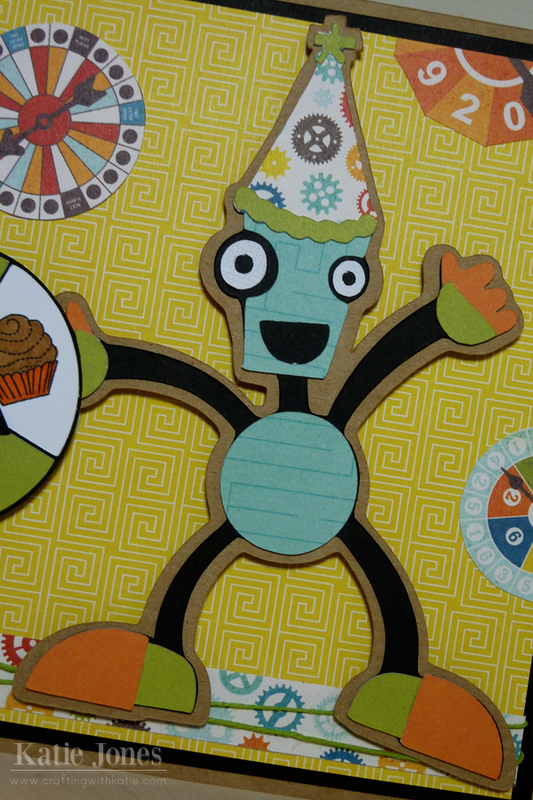 This cute robot is from the Cricut Robotz cartridge, cut at 4 3/4". I welded a 1.65" party hat from Straight From the Nest to him and used patterned papers from All About a Boy for his layers. To make my spinner, I used a Game Spinners cut that I found in the Silhouette Online Store. I cut it at 2.14" and used lots of My Creative Time stamps to decorate it. The rocket is from Classmate Valentines, "Happy Birthday to You!" 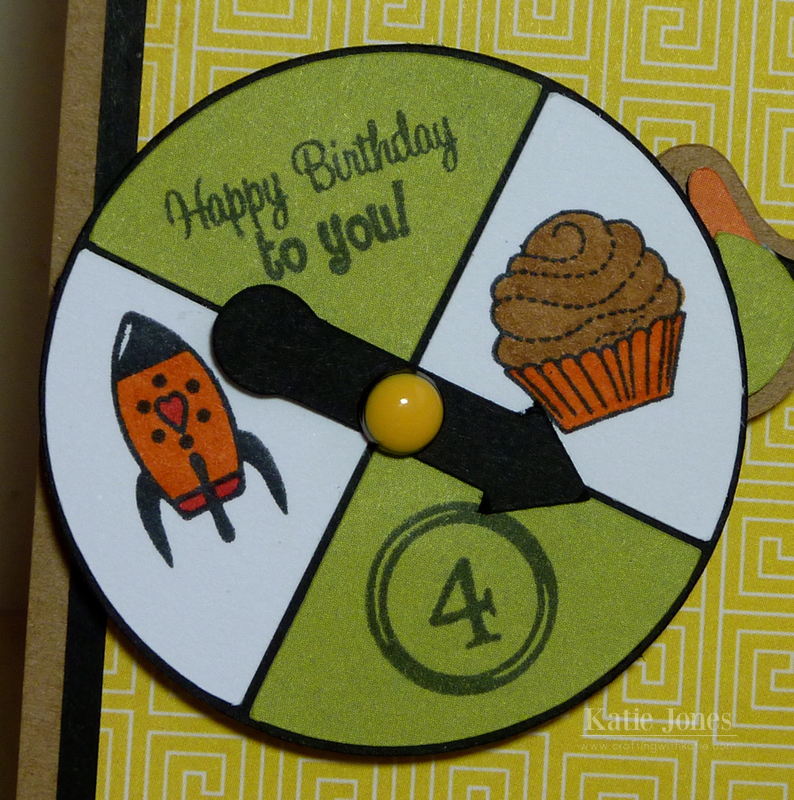 is from Celebrate Good Times, the cupcake is from All Around Goodies, and the number 4 is from Circle Font. The yellow brad is from Simple Stories Urban Traveler Decorative Brads. Hopefully little Davin will like his card! So cute!!!!! I have this Echo Park collection and have used almost all of it-it's such great boy paper! Oh you are always so creative... love this.